San Diego is one of the most family-friendly cities in the world. 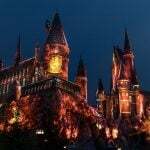 Who else throws open their doors to kids, welcoming them to 100+ attractions such as SeaWorld, The San Diego Zoo, and LEGOLAND for FREE during the month of October? In this sunny city, families will find world-class resorts and budget-friendly hotels where they can fully relax and enjoy all that San Diego has to offer. Since this article was first published in 2009, Trekaroo families have weighed in on the places they love and we present the newly updated top picks to you. Explore these great kid friendly hotels in San Diego. Families give this hotel 5 stars in part for its location which just can’t be beat. The hotel sits right next to Petco Park with an aerial walkway which allows guests to have direct, private access in to the ballpark. 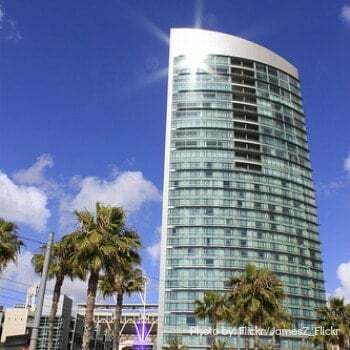 What’s more, the Gaslamp Quarter is a block away, the Convention Center is across the street, and Seaport Village is a mile away, The New Children’s Museum is a half mile away, and the ferry to Coronado is a short 7 minute walk. Baseball fans will thrill to watch the Padres play at Petco Park with a view from their room. The sunny skies of San Diego can be soaked in at the 6th floor heated pool, outdoor bar, and dining area. The Omni has it all: kid-friendly amenities (including the Omni Sensational Kids Program, luxury accommodations, and one of the best locations in San Diego. This hotel has received 5 stars from a Superoo, which only compliments their amazing award given by Forbes Travel Guide as one of the world’s six elite Triple Five-Star resorts. Not too surprising are the kid-friendly perks found within this resort. When kids jump into the family pool they can hear the delightful sounds of music flowing through the water. Soak up the sun while enjoying poolside drinks and meals. Visit the equestrian club and kids over seven can take a lesson or go on a trail ride through Los Peñasquitos Canyon Preserve. The Explorer’s Club welcomes kids ages 5-12 to play traditional and video games, make crafts, and participate in special activities. 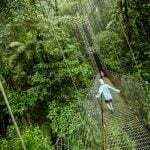 Parents will enjoy the pampering of the world-class spa, the adventure of taking a guided nature hike, and delicious dining. No matter what activities you choose, kids will feel welcomed by friendly staff, spacious rooms, deep bathtubs, and luxurious accommodations. Looking for things to do in San Diego? Here are 19 Suntastic activities for families. 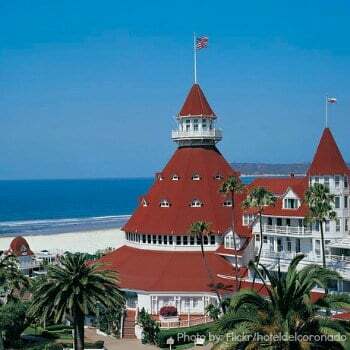 The iconic red peaked roofs rising from the white sandy beach of Coronado Island are a classic picture of luxury and family fun in San Diego. This hotel has gotten rave 5 star reviews from families on Trekaroo for its family-friendly amenities enhanced rich history and Victorian charm. The beach itself has been rated one of the best beaches in the world! Kids will enjoy the beachfront location while mom and dad won’t be able to get enough of the splendid views and their extensive spa services. Their kids program caters to children of all ages with biking, kayaking, sailing, surfing, and all manner of water sports to entertain and amuse. During the holiday season, families will love ice skating on the resort’s beachfront rink. Babysitting can also be arranged through the hotel. Choose from a variety of accommodations, including beachfront cottages and villas and enjoy this beautiful hotel. With the many long stretches of beautiful sandy beaches, craggy cliffs, and delicate tide pools of San Diego County, how can we choose just one beachfront hotel? 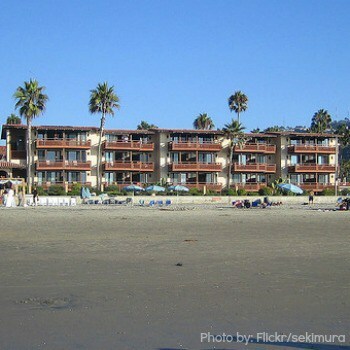 La Jolla Shores Hotel boasts an incredible beachfront with calm waves and clean sand. Borrow a chair and towel from the hotel and enjoy the day at the beach, exploring the nearby tide pools, or playing catch and climbing the playground at Kellogg Park. Kayak and surf lessons can be taken by nearby outfitters. During the summer months, adventurous kids can even snorkel with the harmless leopard sharks which use La Jolla Cove as a nursery. A Trekaroo family enjoyed the delicious food at Shores Restaurant, the continental breakfast buffet, and room service. La Jolla is a favorite beach for families and La Jolla Shores is the perfect place to enjoy a beach vacation. 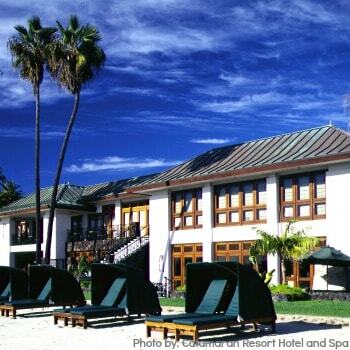 A tropical paradise hotel situated on a small island in Mission Bay right across the water from SeaWorld is why this hotel gets rave reviews from our Superoos. 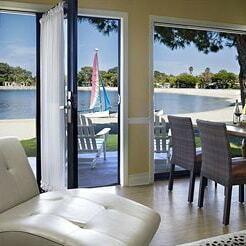 Families can stay in guest rooms, suites, or bungalows facing the pool, lagoon, gardens, or beachfront location. Spend the day on the sand and toast s’mores by sunset. Other delightful activities include renting bicycles, taking surfing lessons, sailing, tennis, or golf on the 18 hole putting course. One of the best features of this hotel is the water taxi (nominal fee) that takes guests across the bay to the back entrance of SeaWorld. Spend the day with Shamu and cruise “home” to the island of Paradise Point. 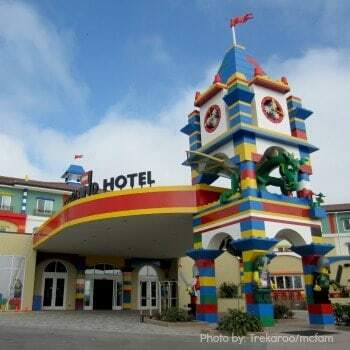 Even though this themed hotel is not made out of LEGOS (though kids wish it were), there is no shortage of LEGOS to be found inside. While parents check in at the lobby, kids can be found digging through the LEGO “pool” starting their own constructions. A box of LEGOS is found in every room, and completing a fun scavenger hunt can open a treasure chest containing LEGO pieces to keep. A treasure ship play area next to the lobby keeps kids engaged while parents can put their feet up and sip wine in the lounge. Each room is fully decked out in LEGO themes with pirates, knights, and adventurers. Bunk beds, flat screen TVs, and a “semi-suite” (no closed doors) layout is great with kids. Jump in the pool or enjoy a delicious dinner at Bricks Family Restaurant after a fun day at LEGOLAND. With direct access to the front gate and exclusive early access to the park, this hotel is perfect for families visiting LEGOLAND. For families who wish for a less immersed experience in the world of LEGOS but would still like to be within walking distance of the park, check out the Sheraton Carlsbad Resort & Spa, also highly rated by Trekaroo families. 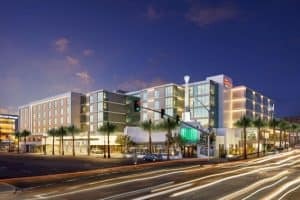 Two hotels come together at Hilton San Diego’s Bayside Campus, the Hilton Garden Inn and Homewood Suites, giving families two great budget-friendly and flexible options for lodging near the USS Midway, harbor cruises, and the Maritime Museum (all just a 2-minute walk away). Families can choose staycation amenities at the Homewood Suites side (with a full kitchen and included complimentary breakfast), or choose to get away from it all at the Hilton Garden Inn side, offering full room service, in-room perks & amenities. Don’t miss a meal at the Pacific Standard Coastal Kitchen while staying on the property. The property is also brand new meaning even though you pay budget-friendly prices, you’ll enjoy luxury perks! Read full reviews of the Hilton Garden Inn Downtown/Bayside. 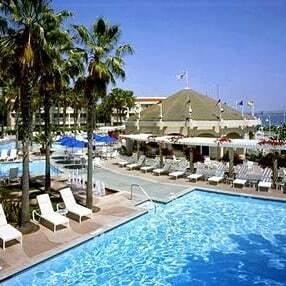 The Sheraton San Diego Hotel & Marina, is made up of two towers sitting adjacent to the sparkling San Diego Bay, offering impressive views of the marina and bay from most hotel rooms. 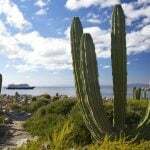 The hotel staff is especially friendly at this waterfront hotel which offers a wide variety of activities and opportunities to explore the area surrounding the marina. During summer, families can enjoy the pool and play tennis, basketball, volleyball, croquet, mini golf, Frisbee golf, ladders, football toss or bean bag toss. Families looking to explore the surrounding area can rent a bicycle at the hotel and take it down the waterfront bike paths. SD Adventures has a dock that connects to the hotel property and offers kayak, canoe, speedboat, jet ski, paddle board, and peddle boat rentals. For those who want to see more of San Diego, the Big Bay shuttle is available through September 2nd for a 3.00 daily rate per person. The shuttle goes to seven waterfront attractions, including the Maritime Museum and the USS Midway. 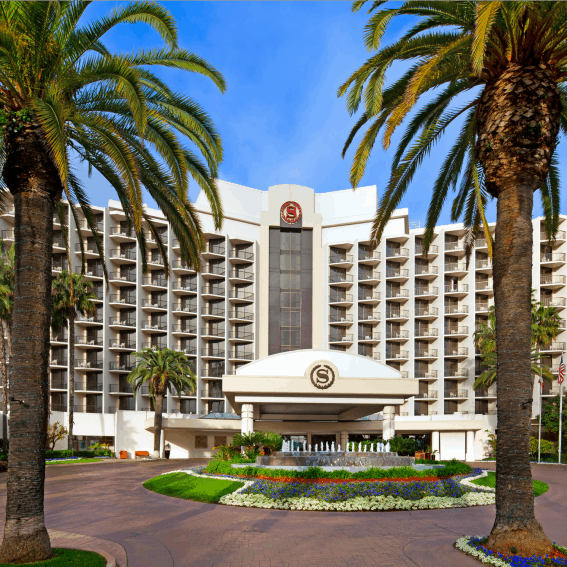 Read the full reviews from families on the Sheraton San Diego Hotel and Marina. Families won’t find many better deals than the rates at Old Town Inn, boasting an excellent location, suite and kitchenette options, and complimentary Wi-Fi, parking, and breakfasts. 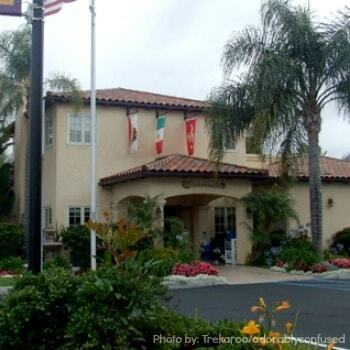 Trekaroo families like the close location to the airport, historic Old Town San Diego, and the San Diego trolley stop across the street. Nearby, explore kid-friendly Balboa Park (home to the zoo and a slew of great museums). Get a great deal on rates starting at $77/night. With impressive views of the Coronado Bay Bridge, San Diego’s downtown skyline, and easy access to both the bay and the world-famous Silver Strand Beach on Coronado, Loews Coronado Bay Resort offers families an impressive place to stay and plenty of kid-friendly perks to enjoy on property. Kids will love starting their stay with a scavenger hunt through the property, and the expansive pool deck (dive-in movies anyone? ), basketball courts, tennis courts, ping pong, kids’ club, and game room will keep the whole family having fun. Mom and dad will love the ultra-luxe linens and rooms with a view. Breakfast is a snap with grab and go options (including Starbucks) or a relaxing meal at Market Cafe. Rent a sailboat or take a lesson onsite for the ultimate bay experience. Read full reviews of Loews Coronado Bay Resort or watch a Youtube clip of this trip! Still, have questions? We’ve got answers: Everything you need to know about visiting San Diego, CA , the Top Activities for Kids in San Diego, CA – voted by parents, and even more San Diego attractions with kids. On Pinterest? We’re there too! Pin the best of San Diego. We love LA too! 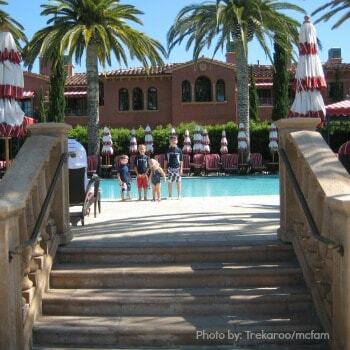 Check out the Best Kid Friendly Hotels in LA, as voted by Trekaroo families. Many thanks for this awesome article. I’ve read id for a few months now plus they are always very informative. Thanks! 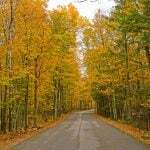 Michelle, excellent blog! 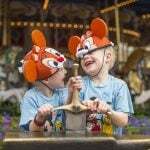 When folks arrive to San Diego and they are interested in looking for family fun events and activities, they can go to https://www.sdfamilyfun.com/ to source for that information. Many of these events and activities are FREE!! !